" SECOND HALF" is a 1 Owner boat with only 879 original hours use. Boat has been lightly used, well cared for and maintained. The 400 Coastal was built by RIVIERA for Wellcraft and later marketed as a 40 Riviera. 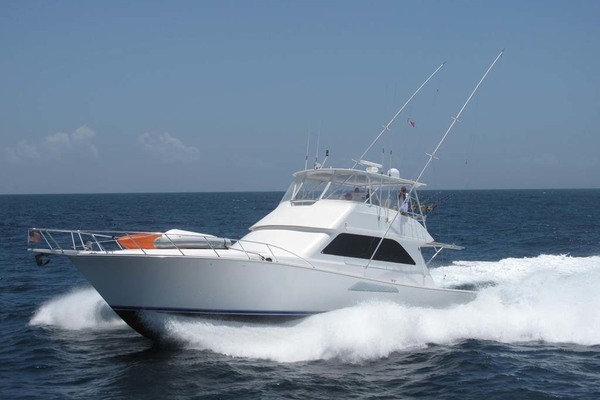 In 1999 Wellcraft decided to get more heavily involved in the convertible sportfishing business to augment their popular Coastal series of Express sportfishing boats. Due to the fact the the majority of their models were express models they contracted with Riviera Boats, Australia's premier builder of sportfishing boats to actually build the boats at their plant in Australia and ship them back to the U.S. the 400 model was built for Wellcraft for several years and then the interior configuration was changed and the boat was marketed as the Riviera 400 where the model enjoyed a succesful run of several years from 1999-2004. 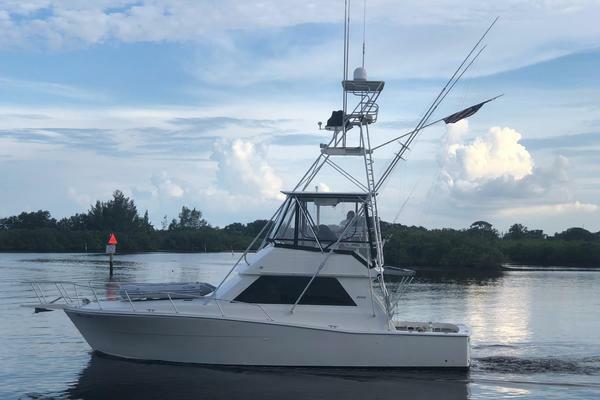 This 400 Coastal has been lightly used primarily for family cruising/fishing , is extremely well maintained and has been constantly updated. As you enter the salon you'll notice attractive new vinyl/wood flooring, tastefully updated/upgraded upholstery, custom window treatments. Her electronics have have been updated . With a short step down into the Galley the updates continue with a new Microwave and refrigerator. A centerline queen master stateroom and side bunk stateroom along with the setee will sleep five comfortably. From the cockpit the engine room is very easy to access and when you step down you will see it has been maintained as well as the rest of the boat. When you climb into the bridge you will notice that all of the upholstery including the eisenglass is new ,electronics have been updated and absolutely no expense has been spared in maintaining this boat in top condition. If you are looking for a turn key convertible sportfish look no further this boat is beautiful , clean and ready to go! BRING REALISTIC OFFERS ! ! ! The Wellcraft 400 Coastal is a value priced convertible sportfisherman with a practical interior layout, a large fishing cockpit and an extremely rakish profile. Built for Wellcraft by Riviera Marine in Australia, the Coastal rides on a solid fiberglass hull with a well flared bow, generous beam and a moderate deadrise running surface. The standard 2 stateroom, mid galley floorplan of the 400 Coastal is arranged with centerline queen berth in the forward stateroom and over/under bunks is the guest cabin. A leather settee is aft to port as you enter the salon and an upholstered dinette is forward, and beechwood cabinetry and large bow and side windows make the salon open and very inviting. On deck the Coastal's large cockpit is fitted with 12 rod holders, a tackle center, a see through transom livewell, fish box and a transom door. A retractable sun shade extends out from the flybridge overhang and access to the engine room is via a hatch in the built in tackle center to port of the cabin entry door. Topside the flybridge is arranged with bench seating forward of the helm console. As you enter the salon to port is an L-shaped settee with table and forward to starboard is an L-dinette/Galley is down 1 step to port/ Down another step to starboard is the guest stateroom with upper and lower bunks and hanging locker, The master stateroom is in the bow with a queen sized berth, hanging locker and good storage. The head features a stall shower. Counter surfaces are corian, interior is finished in light beechwood with blue and tan accents, silver grey driftwood flooring and is in excellent condition showing only very light use.